Over the weekend we were blessed with some lovely sunny days which were perfect for eating al fresco. At this time of year I love salad but I am always looking for ways to make them more exciting than your regular lettuce, tomatoes and cucumber. One salad ingredient that I love is avocado. It adds such a delicious creamy texture to a salad and not forgetting providing you with some good, healthy fats. 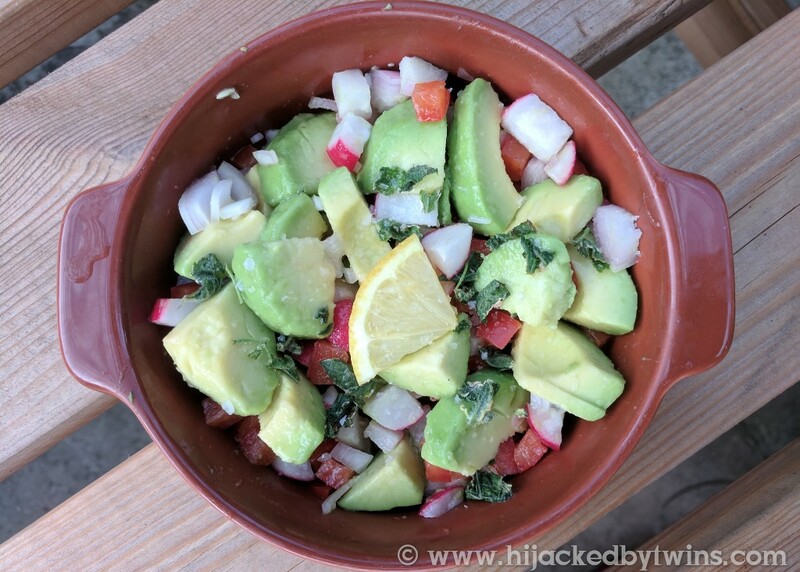 Most people associate avocado with guacamole but it can be so much more! 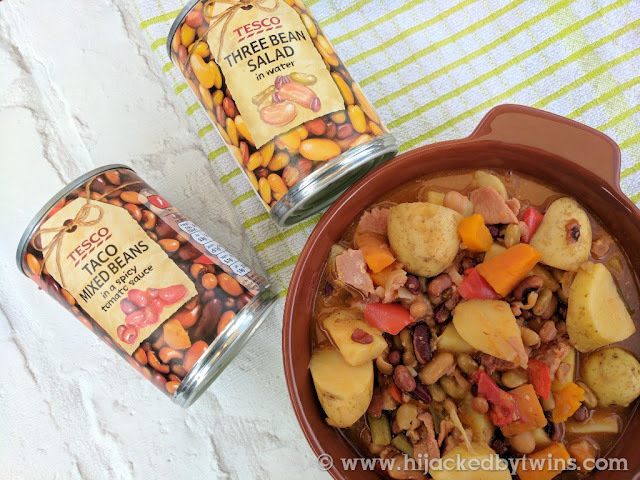 This salad side dish that I am sharing with you today is so quick and easy to make but full of flavour and will simply keep you coming back for more! 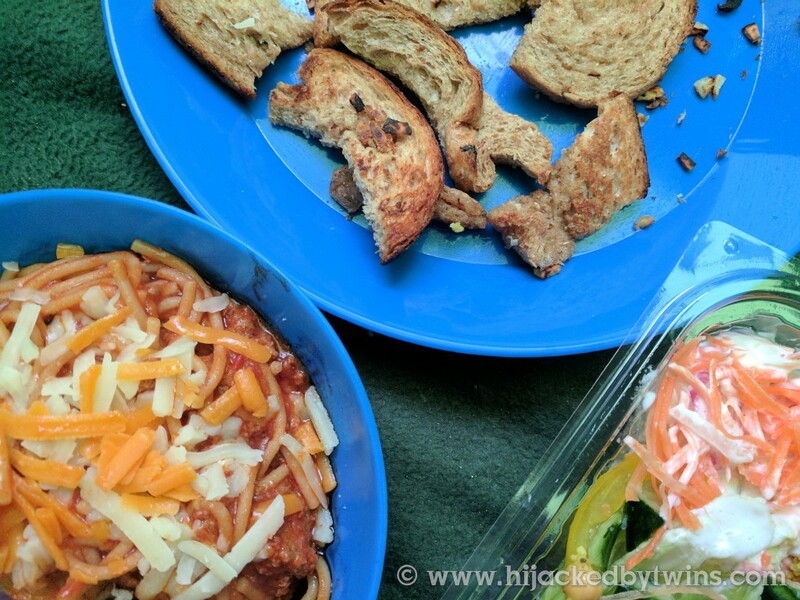 Hello and welcome to week 35 of MealPlanningMonday and the final week of the summer holidays! Yes, I am celebrating the end of the summer holidays! They have seemed so long and the last couple of weeks have dragged. But we are ending the holidays on a high as we have the hubby home with us and a busy week planned so there are not too many meals to plan for but a lot of pre planning for the return to work and school. I return back to work a week today, then the twins go back on the Tuesday followed by J and the hubby on Wednesday. We all know that breakfast is the most important meal of the day. So why not make it more interesting and delicious. It is so easy to get lazy with breakfast and settle for a bowl of cereal or a slice of toast. 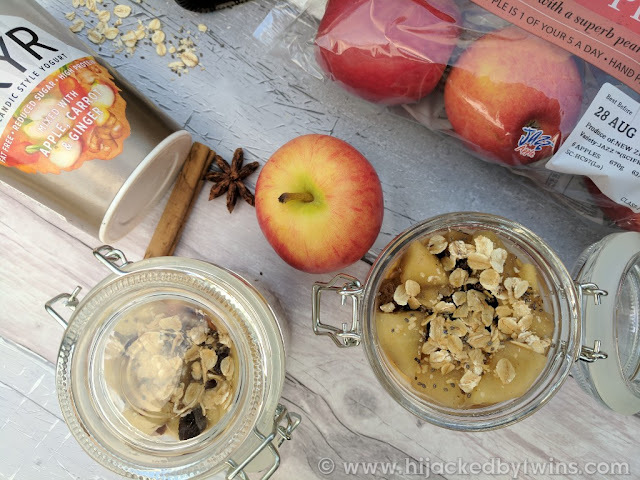 In this post I am going to show you how you can revamp your breakfast with just a little effort the night before and with deliciously sweet Jazz apples. 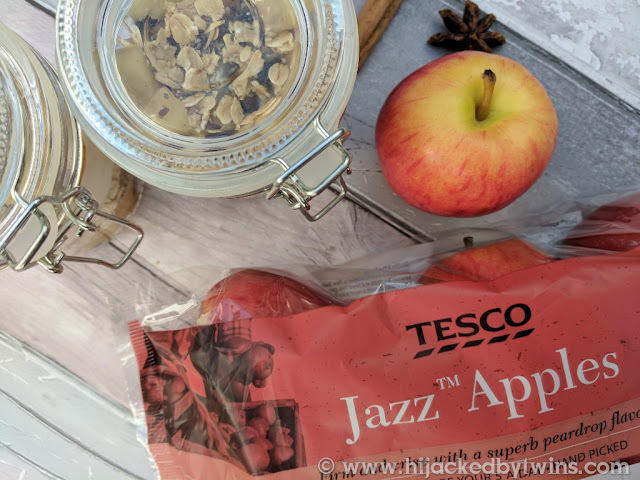 Jazz apples are originally from New Zealand but they are now grown all over the world. From UK growers to South American orchards! They are such a crisp, sweet apple that is so full of flavour and can be used in a wide range of dishes or enjoyed as it is. 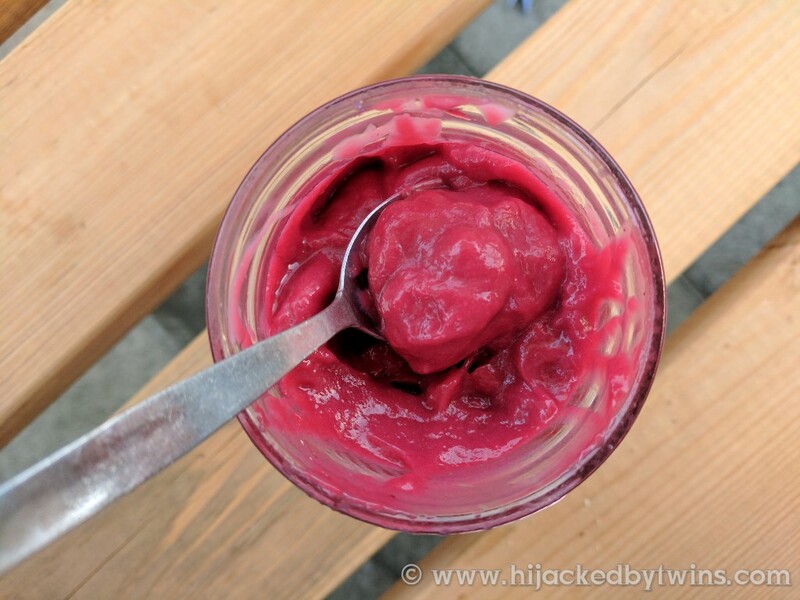 Today I am sharing with you an easy compote that will be the base to so many sweet dishes. I have so many planned but today is all about breakfast! Hello and welcome to week 34 of #MealPlanningMonday! Sorry for the lack of a meal plan post last week, but we did have a meal plan thanks to the hubby. I left him in charge while we were away camping and he did a great job! 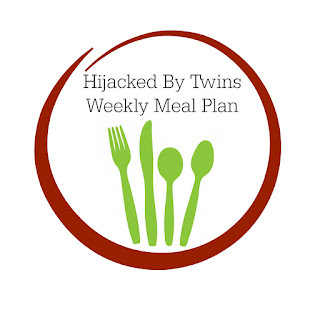 This weeks meal plan is all about getting more vegetables into our diet. We have been a bit lazy with getting our five a day recently and we can feel it in our bodies. I can feel it round my waist and have put on a few pounds which need to be lost. My moods haven't been too good either so that has not helped. But time to get back on it, healthy eating, more exercise and counting down to returning to work, yes I am looking forward to getting back to work! Last week we went on our first camping holiday. This is something that I have been looking forward to. Getting the kids (and me!) away from the television, away from the internet and just going back to basics a bit more. But what I was most looking forward to was cooking camping style. We went armed with a two ring gas stove and a couple of pans. I did take some food with us so that we did not need to go shopping straight away and took non perishable foods such as pasta, rice and tinned food. One meal that I knew that I would make would be one that uses fresh fish. 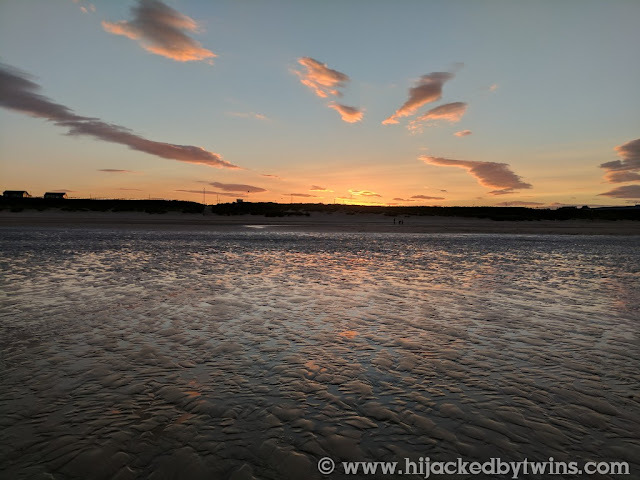 I adore fish of all sorts and as we were staying just outside of Bridlington on the East Yorkshire coast so I knew exactly where I could find some. Next to the harbour is a little shop that sells fish that has been brought in fresh from the fishing boats. But before I tell you all about my recipe let me tell you a bit about our holiday! There really is something soothing about being by the sea and we ventured down to the seafront for walks on all but one of the days that we were there. The children (and the hubby and I) loved walking, paddling and exploring. By the end of the day I was shattered but the kids were full of energy, I simply do not know where all of their energy came from. 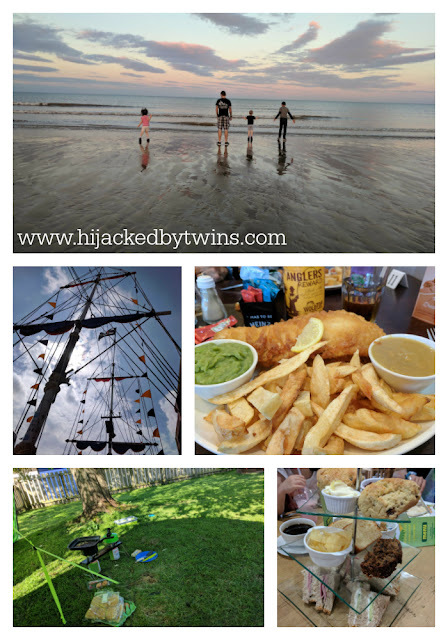 One day when it was just the kids and I (the hubby had to work for part of the week) we used the park and ride to go into the centre of Bridlington. This is where the stunning harbour is. When we arrived the tide was out and the children were fascinated by how the tide came in and out. As you can see on the picture above when we went in the evening the tide was in. This was the twins first UK seaside holiday and I relished in showing them how beautiful our country is, especially along the coastline. Visiting the harbour gave the children the opportunity to learn where our seafood comes from. 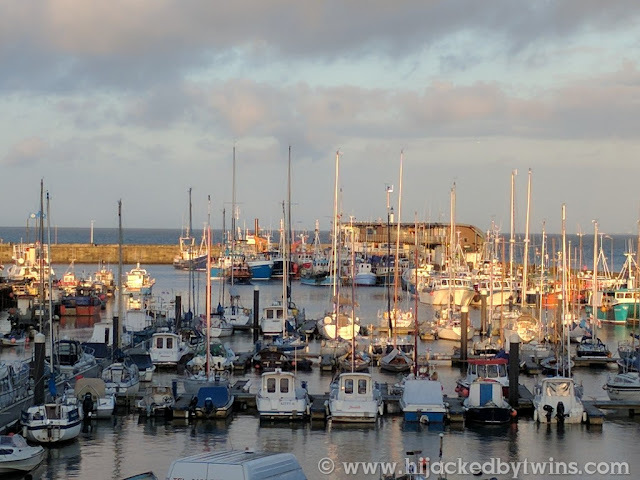 Yes, they know that fish comes from the sea, but visiting the harbour allowed them to see the traps that go in the sea and to see the boats that collect the fish for us to eat. 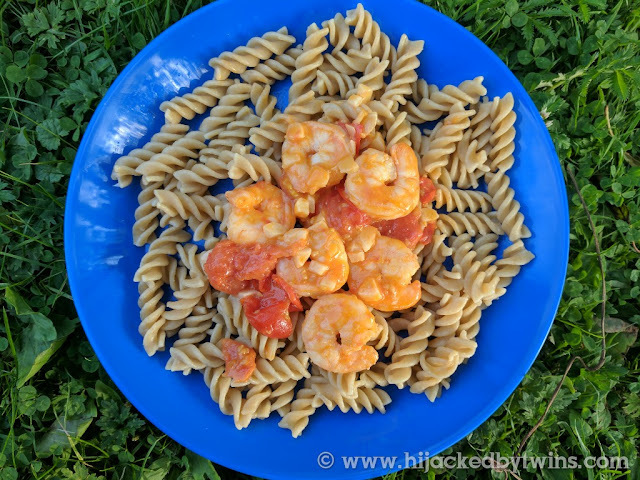 We decided that king prawns were what we wanted to eat on that day and I had an idea how I would cook them. So we sourced some fresh ingredients from a local greengrocers and returned to the tent for a feast. Going camping last week made me realise how much I love the outdoors and nature. One of my favourite ways to relax while away, admittedly it was when the children were in bed, was just looking up at the sky. We often do not take the time to look up and admire the beauty that is always there. Since returning home I have found myself missing being outside and have noticed a drop in my moods and a rise in my anxiety and combined with stir crazy children this has not been a good mixture. Over the weekend J asked me if I would go outside at watch the meteor shower. On the first night it was too cloudy but thankfully the following night it was lovely and clear. We were stood, looking up for so long we got neck ache, so we ventured down to the bottom of the garden to sit back and enjoy the show. Well, I say show, but we only saw one shooting star but it was spending time with J that I enjoyed most of all. I wish it was lovely enough to do this all year round. 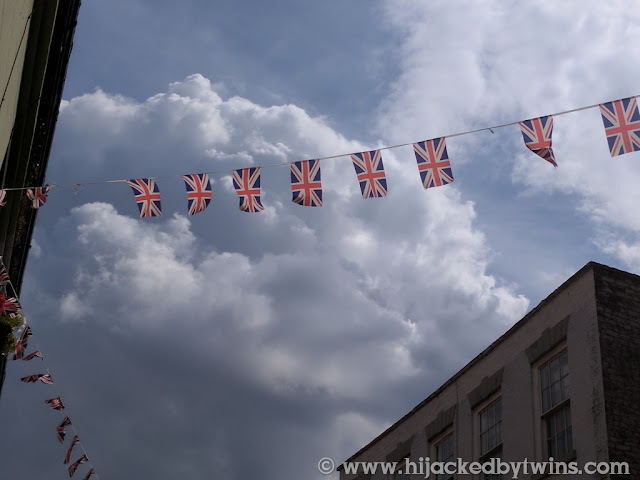 It was so relaxing just looking up at the sky but we cannot rely on the great British weather to do this all year round. Last year I wrote a post about the Charlie Bigham's ready meals and since then they have become more widely available and we have tried even more of the delectable dishes. So when I was asked if I would like to share some more meals with you I knew I could not say no. 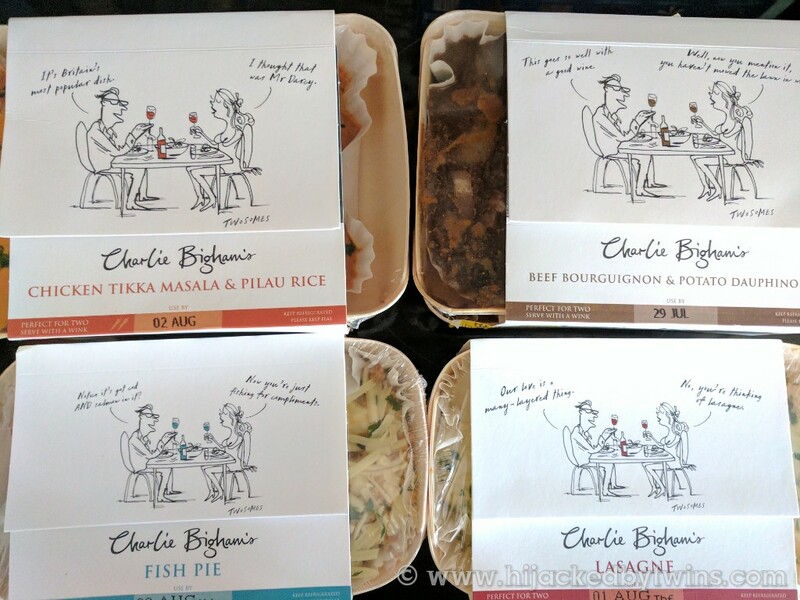 Until we tried Charlie Bigham's ready meals we had been a bit fussy with the ready meals that we had. In fact we rarely had them. We are passionate about good quality meals and getting pre-prepared meals that use quality ingredients can often be tricky. But Charlie Bigham's use carefully sourced ingredients from trusted suppliers and each recipe has been hand crafted by their top chefs. 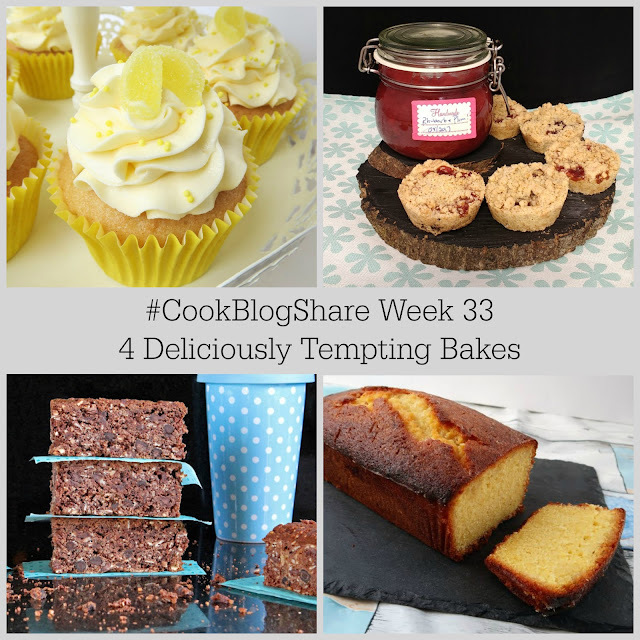 Hello and welcome to week 33 of #CookBlogShare! I hope you are all having a lovely summer break so far. Last week we ventured on our first camping trip which, up until we had 36 hours of non stop rain, we thoroughly enjoyed. I have to admit that my favourite part of the trip was experimenting with camping meals. After having some successful meals I have some lovely recipes to share over the next couple of weeks and plenty of ideas floating around my head! Here is a little taster of what is coming! 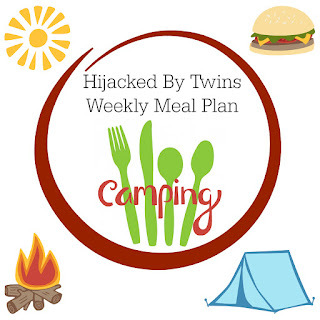 Weekly Meal Plan - #MealPlanningMonday Week 32 The Camping Edition! Hello and welcome to week 32 of #MealPlanningMonday! This weeks meal plan is a little different to normal as this week we are going back to basics and are camping! This is our first ever camping trip so I think that having some meals planned is a necessity. I have brought some non perishable foods with us such as pasta sauces, wraps, tins and packet mixes. I am planning to buy fresh meat, fruit and vegetables as we go and hope to find a lovely farm shop near by. But to help the week go smoothly I have come prepared to make the following meals. For the first part of the holiday I will have the hubby with us so meal times will be easier as we will either eat out or we will prepare the meal together, but during the week the hubby has to work so it is just me and the kids so all of the meals need to be kiddie friendly, easy and fun meals we can all dig into! I have tried out a couple of meals using just two pans as that is all I will have. I am nervous but so excited to try something that is completely new and back to basics! Since making my Raspberry and Blackcurrant Curd I have been using it in as many recipes as possible. As the curd contains egg yolk it needs using within a week. Not being one to like waste I have had so much fun experimenting and adding to bakes. 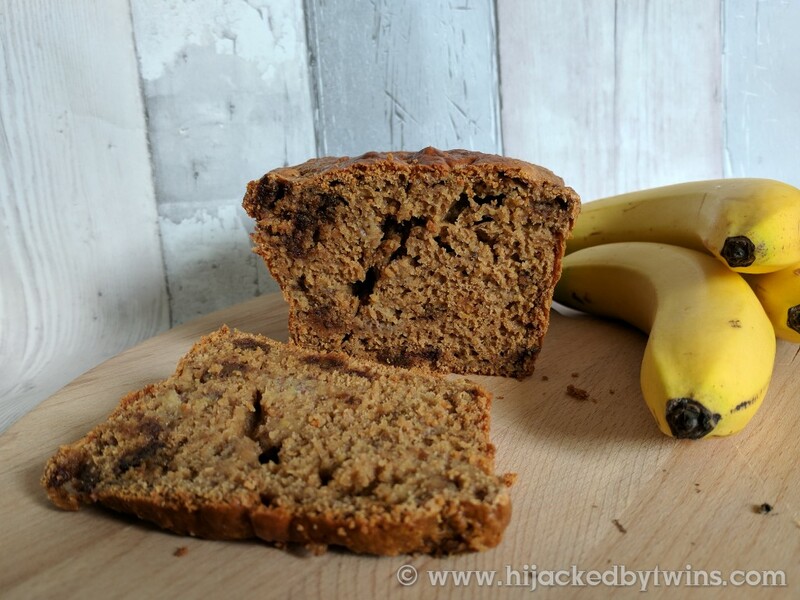 This recipe is based on my ginger tea loaf which is a firm favourite of the hubby. I have changed a few ingredients but have followed the basic ingredients. But as I had a lot of curd to use, this one has a delightfully fruity tang to it. 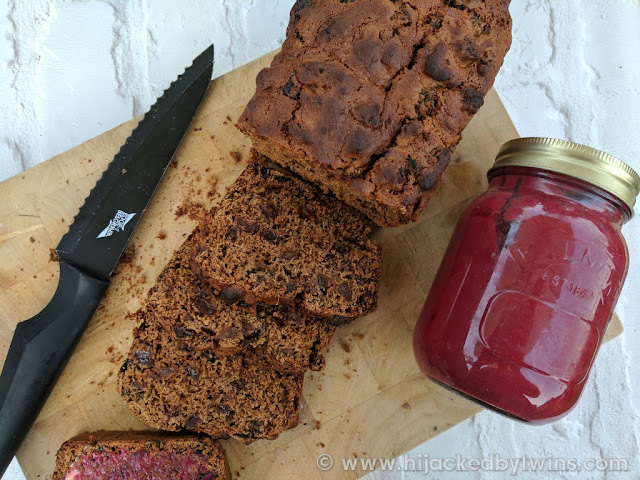 It is a perfect tea loaf to have as a mid morning snack with a good cuppa! This meal is not the most summery of meals but then again we have not been having much of a summer! But it is an easy meal which is perfect for the busy summer holidays. Who doesn't love a good old one pot meal? I love them, less washing up, full of flavour and super easy and this one is no exception. Plus when made in the Pressure King Pro it is cooked in a fraction of the time! Beans are a great way to bulk out a meal and helps you to cut down on more expensive ingredients. This recipe is a great meal when you are getting to the month end and money is a bit tight. It is a cheap meal that will make enough for the family plus enough for some leftovers the following day. As well as a cheap way to bulk our a meal they are also a healthy addition. They are full of fibre, protein and iron! With the fresh vegetables you know that you are getting a bowl full of goodness!